Multiple individuals contributed to this post. 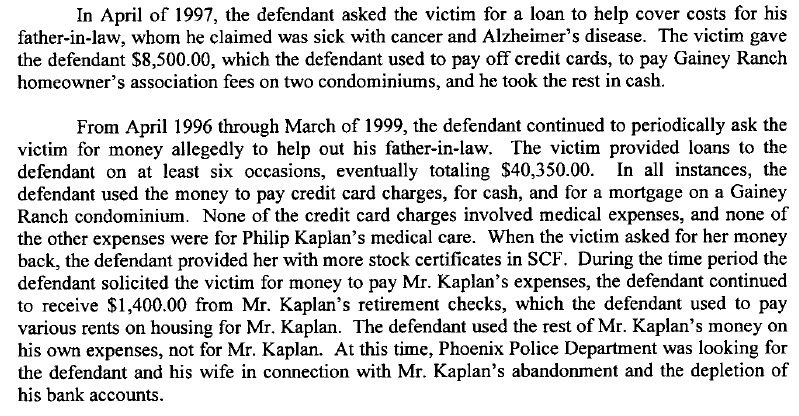 Public court records reveal Stephen B. Beizer reached a plea bargain in 2004 stemming from what the Arizona Attorney General office described as bilking two elderly women out of money in an ongoing series of scams undertaken between 1995 and 1999. Some of the cash was repaid but Beizer was ordered accountable for over $186,000 in restitution. 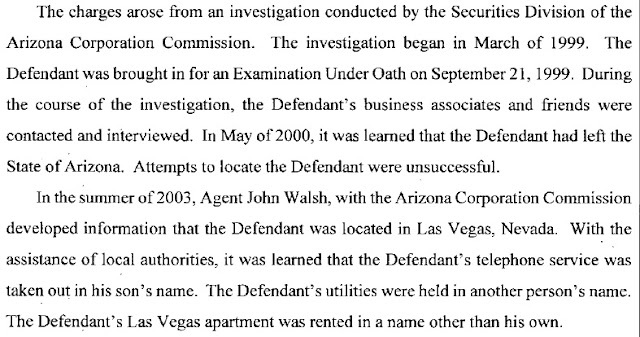 Files from the criminal case were obtained from Maricopa County Superior Court. The late Stephen Beizer was the brother-in-law of Gene Steinberg, who solicited money on Beizer's behalf, according to Steinberg's emails and posted statements. Court documents indicate Steinberg also had business dealings with Beizer. 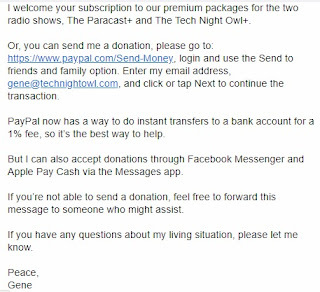 Steinberg operates Paracast and Tech Night Owl, and has drawn increasing criticism for his years of requesting cash gifts - as frequently as several times per week by email - for his common living expenses perpetually framed as emergencies. Beizer was initially indicted in 2001 by an Arizona State Grand Jury "on 3 counts of Fraudulent Schemes and Artifices, 11 counts of Theft and one count of Illegally Conducting an Enterprise," according to the documents. A guilty plea was entered in 2004 on amended charges of Sale of Unregistered Securities and Theft, which included a sentence of eleven months jail time, five years probation, and restitution. In an Aug. 13, 2018 email response to request for comment on soliciting funds on behalf of Stephen Beizer while failing to fully disclose the circumstances and restitution, Steinberg replied, "If your sister-in-law's family needed financial help, would you launch a full background check first?" Do you care to comment on the following for a blog post? 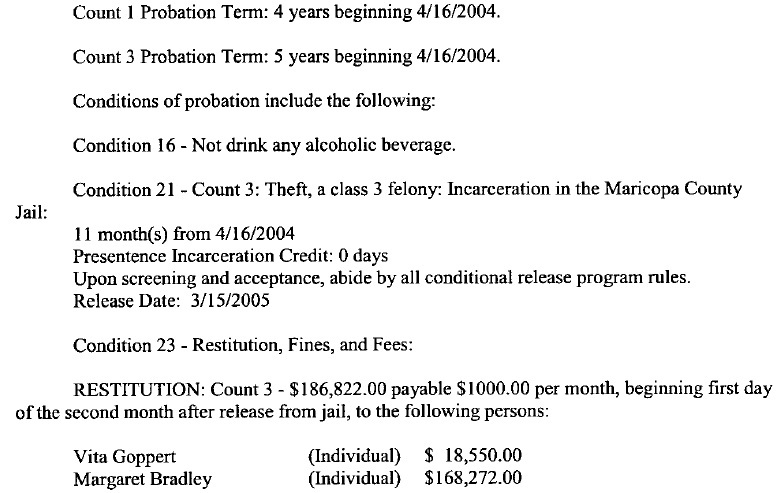 Attached please find an image of a June 2, 2009 Maricopa County Superior Court public document indicating Stephen Beizer owed in excess of $171,000 in restitution at that time. Also attached is a screen shot from your Jan. 1, 2010 email soliciting cash on behalf of the Beizers. Any comment on requesting donations for your in-laws while failing to fully disclose his restitution responsibilities? At least you finally admit that I originally sought help for a relative, not for me. That’s refreshing. If your sister-in-law’s family needed financial help, would you launch a full background check first? Obviously, if I knew then what I know now, I would have made very different choices and I’d be in much better financial shape today. Stephen Beizer died of pancreatic cancer in 2014. It was a painful death. He left his widow and handicapped son penniless and I will never be paid back. To be clear, is it your contention that you were unaware of Mr. Beizer's criminal charges while you were soliciting money on his behalf? Is that your position? I made the decision to help the Beizers around 2003. Don’t forget that the family includes a seriously handicapped son. I was aware that Stephen did not live a squeaky clean life but not the specifics of any court records. I think most families would be generous even when imperfect family members were involved. Steinberg apparently began raising money allegedly for Beizer some time prior to Aug. 1, 2003, as indicated in an email shared at an online forum. According to the copy of the email, Steinberg discussed previous and continuing attempts to solicit cash for in-laws, including encouraging readers to forward the message to others or link his solicitation from their websites. Steinberg's portrayal of circumstances surrounding the Beizers varied. The alleged legal harassment from a vengeful woman, as noted above, was one account. Another was that Beizer needed money until a financially lucrative civil case, in which a favorable ruling was anticipated, was completed. 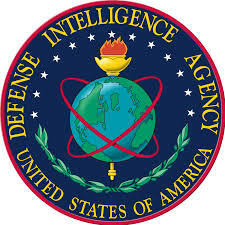 There has yet to be any evidence produced of the existence of such a legal case, which, according to Steinberg's above 2010 email, was expected to be fully resolved that year. Steinberg would later state the civil case remained unresolved upon Beizer's death in 2014. No records of any such legal proceedings were located during a search that revealed Beizer's criminal history as presented in this post. There's also that large payoff from a relative's investment, delayed for several years due to endless legal complications and slow court schedules, which is due this fall. It will help us pay off all our bills, invest in the business, and maybe provide some savings for a rainy day. My dad and I never like to devote any part of our daily content to personal matters, but this is a severe exception, because members of our family are involved and have nowhere to turn. My aunt, Helene, and uncle Stephen have a son, Jaret (pictured at left), who is severely handicapped and requires special care. Life is tough enough balancing the burdens of raising a handicapped child and dealing with work and social concerns as well. Unfortunately, their problems have been greatly increased over the past five years, as an elderly woman with millions of dollars in the bank and time on her hands has been harassing them relentlessly because of a failed financial deal. Her actions are completely unjustified. The matter has gone through several federal and state court actions, and my family has won every time. Yet this woman won't give up, and her actions have deprived my cousin of his disability insurance, and left his parents destitute. Creditors are constantly hounding them and they are on the verge of becoming homeless. My mom and dad have established a special fund to raise money to help cover their huge legal bills and other expenses, including food and shelter. The situation is really complicated, and I’ve spared you some of the details. If necessary, my father can explain the rest if you wish to help us. I assure all our readers, however, that this is a serious problem, the need is urgent, and time is extremely short. As a result of your generous financial contributions, we've raised nearly a third of what we need, but there's still a long road to travel. The rest of our small family has helped as much as it can. We still require outside support. 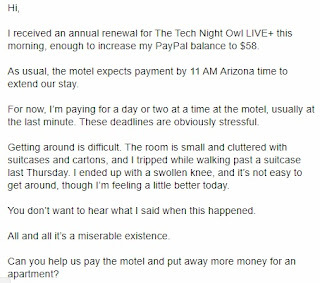 Readers who wish to provide some immediate assistance may write to help@macnightowl.com for further details. We are making great progress toward resolving the serious financial trials being faced by my sister-in-law and her family. Your donations have made a huge difference, and we hope to reach our goal shortly. For those who haven't seen the online appeals, the story is long and complicated and the situation has left them nearly penniless. In brief, they have been the victims of ongoing legal harassment by someone with deep pockets and a desire to inflict as much financial and emotional pain as possible. We have already contributed as much as we can afford. My son has even donated a large portion of his college fund for their needs. We have also established a special fund to provide financial assistance to help them pay legal bills and other mounting expenses. 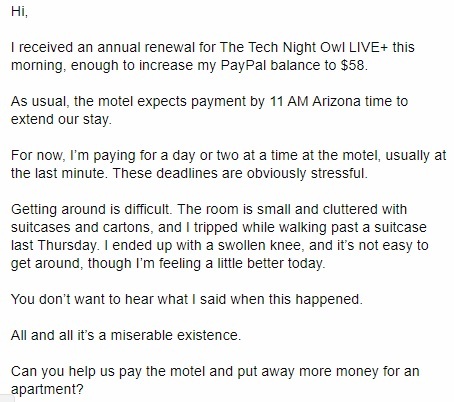 If you want to know more about the situation, or would like to send a donation, please send your inquiry to help@macnightowl.com. Steinberg undertook long term fundraising efforts for Beizer, a convicted thief owing a six-digit figure in restitution, while failing to fully disclose the actual circumstances to potential contributors. 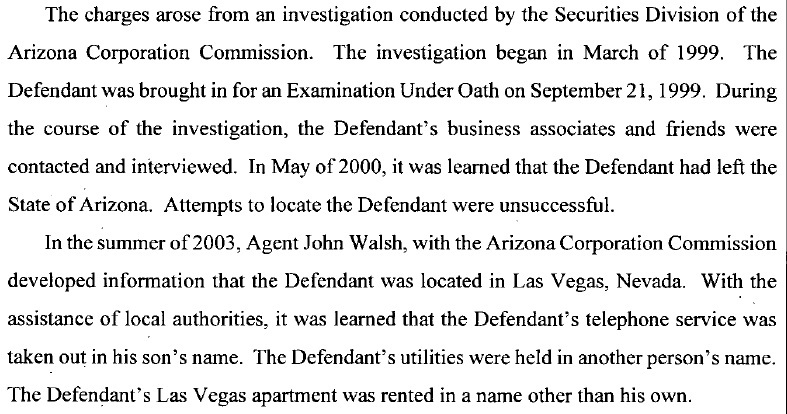 That might particularly be considered questionable in light of the findings of a March 12, 2004 pre-sentence investigation, in which an Attorney General Investigator expressed "concerns on where the defendant is currently obtaining his money to live and pay a private attorney." The investigator also reported Beizer had more victims who were unwilling to cooperate with the court, as seen in the screenshot below. The same file establishes "friends and family" were giving the Beizers "$750.00 per month or more." Concerns were again expressed about how such money was being obtained, including the recommendation, "[T]his will have to be monitored to see if he is soliciting victims." Beizer's lack of gainful employment was pointed out, as was his failure to produce legitimate income through his businesses for over nine years. Beizer and Steinberg submitted paperwork showing full ownership of one such business, Numis Gems, was transferred to Steinberg, according to the 2004 file. Beizer was then hired by Steinberg, at least "on paper." Steinberg, Beizer, and family members held various positions on the articles of incorporation of numerous businesses, including Numis Gems. Entities registered to Steinberg or immediate family members of Beizer or Steinberg also included GoldBugg, All Things Precious, and Making the Impossible, among others. One such apparent company discovered was Cross-Country Consultants, where Steinberg was named as president of an outfit whose stated primary business activity was investment advice. The Numis Gems website in 2006 posted content pertaining to selling sports memorabilia, but a few years later offered what were termed proven methods to improve your bottom line. All Things Precious was described as part of the "Numis Gems family of services" on the Numis Gems home page in 2014. According to the website, your precious metals could be liquidated by a registered agent of one of America's largest refiners. The outfit boasted some 45 years of experience and claimed its customers thought of them as super heroes. In comments posted June 14, 2018 at The UFO Trail, a blog reader quoted Steinberg from an email exchange. It appears Steinberg adamantly denied business relationships with Beizer as recently as a few weeks ago. 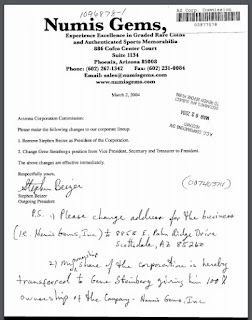 Per the screen shot below, Steinberg was quoted as writing, "Mr. Beizer's corporate name was NOT transferred to me. To help him boost his income, I set up a site for him and paid for him to register a trade name, since I filed, my name was on it. Period. I had no other involvement in his business. He was never involved in my ventures..."
Offered an opportunity to comment on the discrepancy between his denials of a business relationship with Beizer and public records, Steinberg replied in an Aug. 13 email, "I never owned his business." Attached you'll find an image of June 14, 2018 comments submitted at The UFO Trail in which the submitter quoted you adamantly stating in a recent email exchange that Mr. Beizer's corporation was not transferred to you and that you had no involvement in his business. 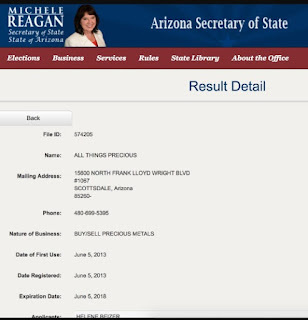 Also attached please find a doc available on the Arizona Corporation Commission website and dated March 2, 2004 which indicates Beizer's company was fully transferred to you. Do you care to comment on the discrepancy? I never owned his business. I simply helped him with some paperwork as a favor when he had his legal issues. Remember, family. Numis Gems was always Stephen’s. 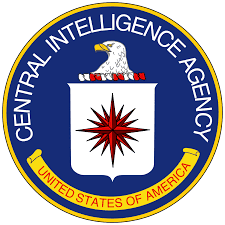 It was not a corporation, just a registered name. 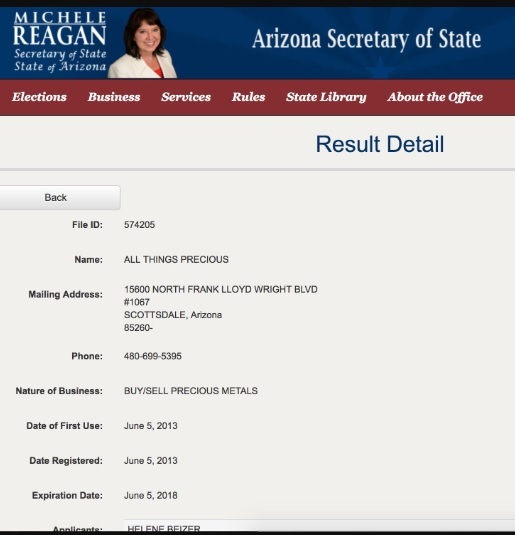 Someone is misreading the filing with the State of Arizona. I was not involved in its affairs. I just wanted him to earn living, partly in the hope that I would be paid back. You see how that turned out. On Dec. 6, 2009, Beizer was a guest on Steinberg's Paracast. Between a series of 2009 restitution hearings and Steinberg's early 2010 continuing pleas to provide money for his in-laws, each as referenced above, Beizer was presented to the Paracast audience as a "currency trader." 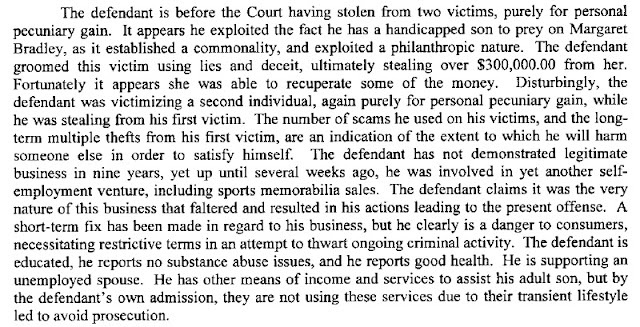 He was not introduced as either a beneficiary of Steinberg's cash solicitations or a business associate. 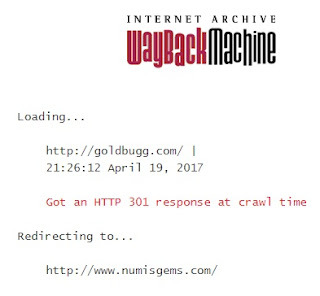 The web link for Beizer at Paracast directs to the GoldBugg site. The 2010 GoldBugg website claimed to offer unspecified financial services ensuring financial freedom through private, personal service. 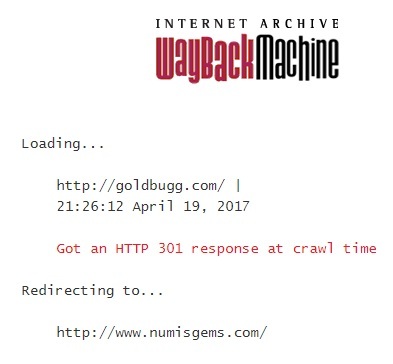 Later versions of the GoldBugg site redirect to Numis Gems. During the time frame Beizer appeared on Paracast, the show featured ads promoting GoldBugg, as can be heard at the 15:25 mark of this Nov. 29, 2009 episode. The basic concept was cash for gold. The owners had decades of experience in the business, the ad claimed, so listeners were encouraged to call or visit them online. As of this writing, the Numis Gems website is stagnant. A message to "all hard asset subscribers and believers" informs them Numis Gems is closed due to the death of its founder, Stephen Beizer. 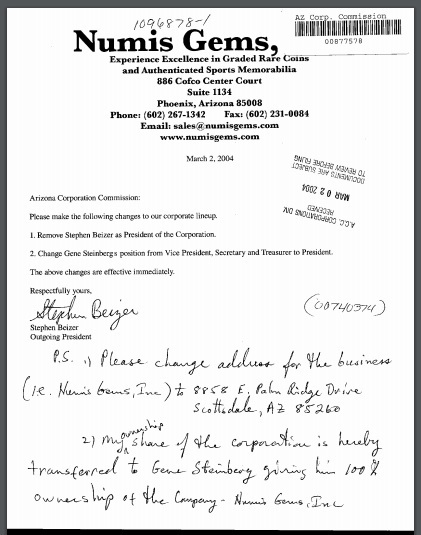 According to court docs, Stephen Beizer resided in Greater Phoenix while attracting victims through his sports memorabilia venture, building rapport with them, and subsequently employing a variety of techniques to illegally obtain their cash. In the instance of one Florida woman, he sold her an item then kept in touch with her and falsely claimed to be starting an otherwise nonexistent business. 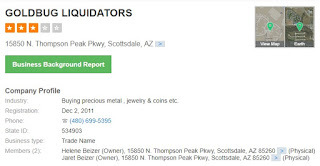 Records indicate Beizer persuaded her to invest in the scam, sold her worthless stock, got her to buy an Arizona condo under the false pretense she'd make money on a quick turn around sale, then he resided in the condo while obstructing its sale, among other acts perpetrated. 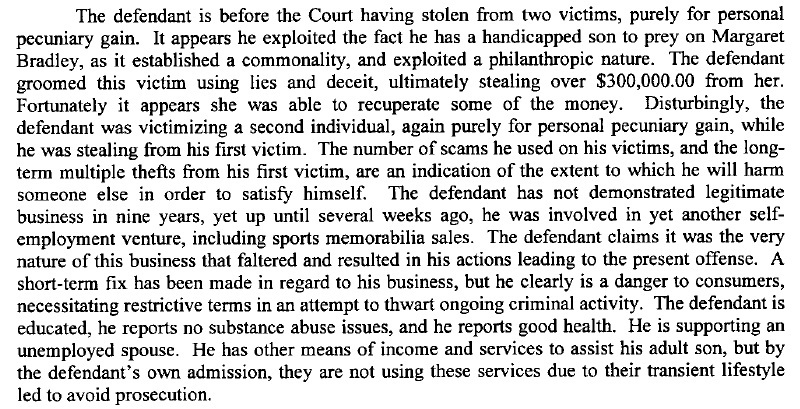 Beizer used his aged father-in-law as an excuse to solicit more money. As demonstrated in the screen shot below, investigators reported that Beizer did not use the acquired money for his stated reasons and was actually depleting the cash of his father-in-law. In 2000 authorities began administrative action against Beizer and his wife, Helene, for fraud and sale of unregistered securities by unregistered salesmen. They fled Arizona to avoid prosecution, according to the public record linked above. Beizer's attorney would later deny his client was intentionally evading authorities. In fairness to Beizer, he paid his debt to society - but he did not pay his restitution debt to his victims. 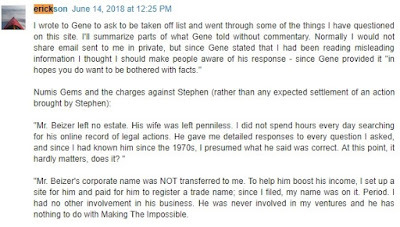 More importantly to former and potential future supporters of Gene Steinberg and his radio shows is the questionable ways Steinberg framed his relationship with Beizer at different times. That would be relevant while considering sending money to Steinberg in response to his chronic pleas for cash. One might also question Steinberg's commitments to accuracy. At best, Steinberg's judgement is called into significant question, all actions considered, and it is entirely reasonable to expect full accountability when someone publicly and perpetually requests money. That might particularly be considered the case in the UFO community, long known to attract the antics of hoaxers and charlatans. Steinberg's assertions that assisting Beizer triggered Steinberg's long claimed financial crisis are further complicated by public court records which do not support the claim. While Beizer was not indicted until 2001 and entered a guilty plea in 2004, Steinberg had a $1,600+ judgment ruled against him on behalf of First Deposit National Bank in 1994. Similarly, Household Finance was awarded a $4,000+ monetary judgment against Steinberg in a case beginning in 1994 and completed in 1997, among several more actions publicly available for viewing. Public records show Steinberg defaulted on tens of thousands of dollars in debt spanning many years both before and after Beizer's indictment and subsequent hearings. 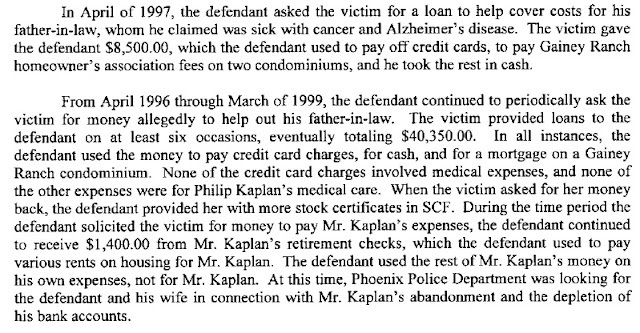 This makes it difficult to lay the blame for Steinberg's hundreds of pleas for cash gifts at the feet of Stephen and Helene Beizer. Moreover, the scenario does not adequately account for requesting money on behalf of someone owing restitution for felony criminal activity while failing to disclose that to be the case. It arguably makes it more difficult to accept. 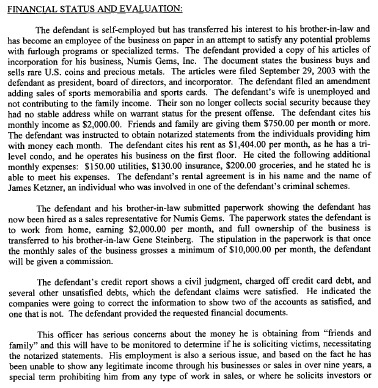 In order to entertain Steinberg's claim Beizer substantially contributed to his financial woes, one must weigh the likelihood Steinberg knew very little about Beizer while Steinberg was repeatedly named in significant court docs and suggesting his following give money to Beizer. Otherwise, Steinberg solicited cash for the man while he was failing to financially take care of himself and failing to pay restitution, all while failing to repay Steinberg. Then, we would have to suppose, Steinberg decided it was a good idea to present Beizer as a currency trader on the Paracast. Such scenarios are not supported by public docs and the court records obtained. Below is a screen shot of the body of Steinberg's Aug. 13, 2018 email, "Monday and broke again! 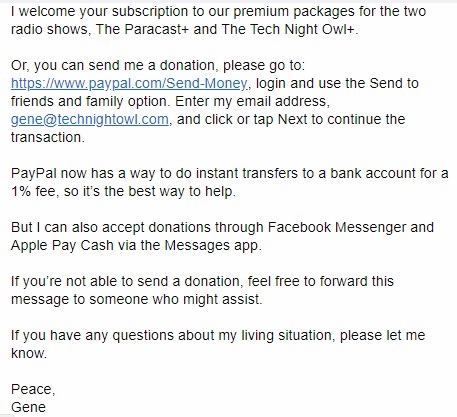 ", sent to the Paracast e-list. As of this writing it was Steinberg's approximately 127th such email of 2018, and his 266th since Jan. 1, 2017.